Original sideboard with markedly essential and modern lines. The solidity of this product makes it suitable for private and �contract� spaces. 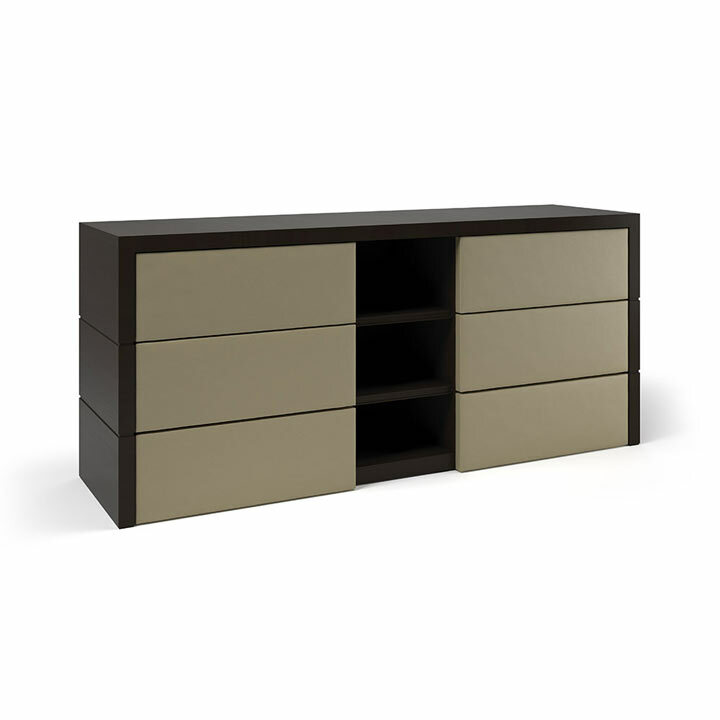 The drawers, with the front covered in modern eco-leather, are the characterising feature of this product It also features an open central compartment with three shelves.